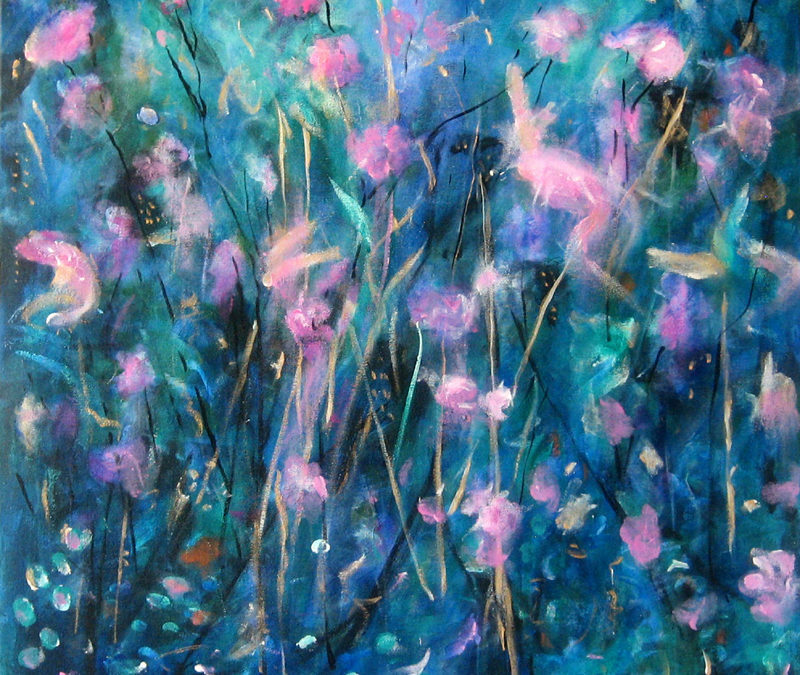 When I painted FAIRY DREAMS I had so much fun, and it was so spontaneous I was overwhelmed. That painting was the first of many that have taken my breath away with their seeming ease and beauty. I have no doubt there was a Muse…or perhaps a Fairy, helping me along. It was my FaceBook Friends that helped name that painting, and they insisted I try to create a series. This magical painting virtually painted itself. Primarily with finger painting which I love so very much. 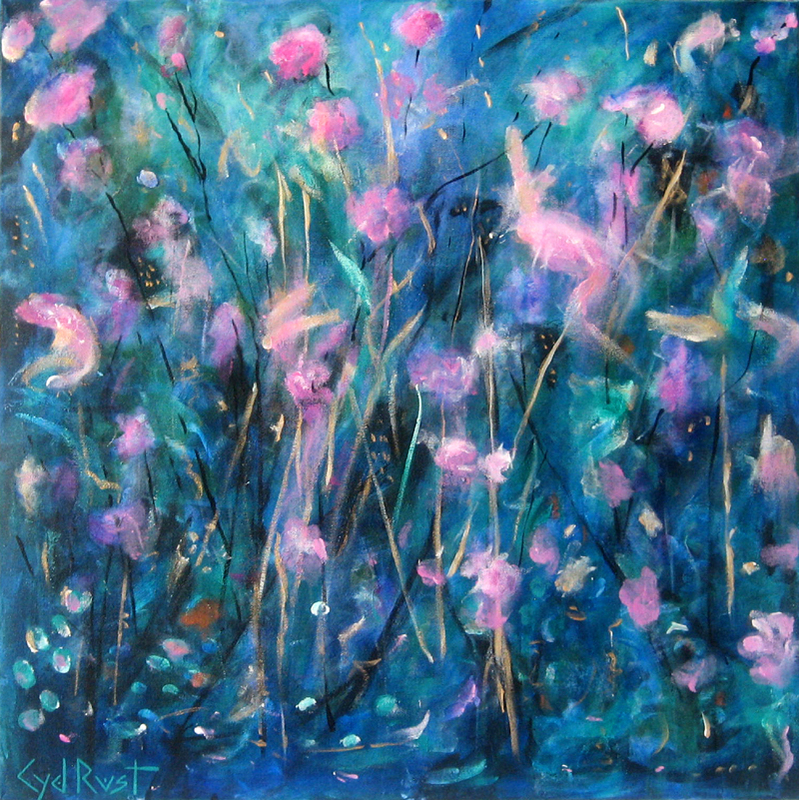 As my fingers danced across the canvas, the swishes of paint took on the appearance of Fairies. I had not meant for there to be actual images of Fairies in the painting…but as often seems to happen, the figures appeared. And yes, there are more Fairy paintings to come. They are just too much fun to paint to completely ignore. And I don’t think the Fairies in my studio would let me anyway. wink. I hope you all had a magical Weekend.